American actor Ashton Kutcher arrived in Israel early Monday and headed to Tel Aviv's Dan Hotel, where he will be staying at the presidential suite during his visit. Kutcher, 35, who is famous for his activity on social networks and in the field of high-tech, was expected to meet Monday with representatives of local startup companies. His visit in Israel will be spent with his investment partner, Guy Oseary, one of the leading producers in the US music industry and Madonna's personal manager. Oseary, a former Israeli, visits the country quite often and the two are joint investors in the A-Grade venture capital fund, which they founded together with Ron Burkle in 2011. Their investments include Airbnb, Spotify, Path, Soundcloud, Groupon and Shazam. Kutcher is considered one of the early adopters of the Twitter social networking website, becoming the first user to reach one million followers in 2009. Kutcher and Oseary will be the guests of Yossi Vardi, one of Israel's first high-tech entrepreneurs, who is known to lead delegations of executives from Silicon Valley to Israel. The two will look into investment opportunities with Israeli startups and f local entrepreneurs' projects. The visit was timed to coincide with the Jewish holiday of Shavuot. The two are devoted Kabbalah followers, and according to estimates they will be spending the holiday attending the Kabbalah Center's prayers and events. This is Kutcher's fifth visit to Israel. He last visited the country in 2010 with his ex-wife Demi Moore, and delivered a lecture at a high-tech conference about his network activity. 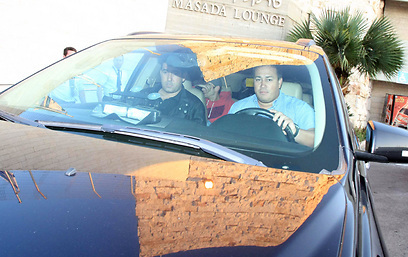 The two were the guests of the Kabbalah Center. Kutcher divorced Moore in 2011, but appears to have maintained a warm relationship with the world of Judaism together with his current girlfriend, Jewish actress Mila Kunis, who unfortunately will not be joining him on this visit. 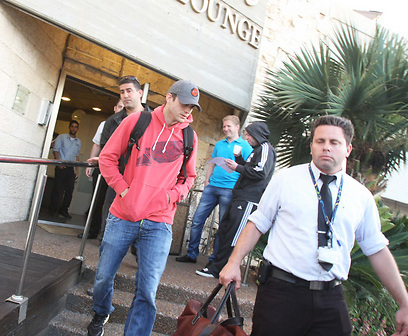 See all talkbacks "Ashton Kutcher arrives in Israel "